Home » Bollywood News » Will John Abraham and Sonakshi Sinha's Force 2 release this November? 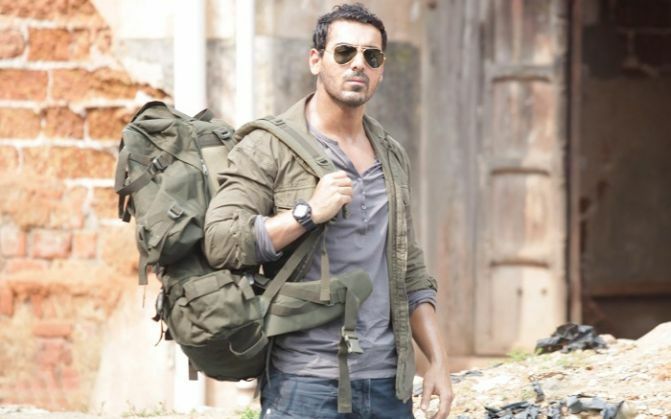 John Abraham is all set to reprise his role as ACP Yashvardhan in the sequel to 2011 super hit film, Force. The actor, who is known to perform deadly stunts, has promised that Force 2 will be a treat for action lovers in India. "We are yet to decide a release date for Force 2, but it will release in second half of 2016. We have two action films, Force 2 and Commando 2 lined up this year and we need to plan out the release strategy for both the films. We will make an official announcement soon." "Sonakshi's character in Force 2 is going to surprise everyone. It is a very special character and she will be seen performing all the stunts along with John". "Sonakshi has been a part of many action films alongside Salman Khan and Akshay Kumar but she has never performed a stunt but with Akira and Force 2, I think she will establish herself as an action star." The second last schedule of Force 2 was supposed to be shot at Budapest in China. However, the producers failed to get permission from the Chinese government. The team is currently on a location hunt for the film. What do Akshay Kumar's Ikka and Sushant Singh Rajput's Paani have in common?